Dr. Isam Eltoum graduated from the University of Khartoum Faculty of Medicine and completed his residency at the George Washington University. 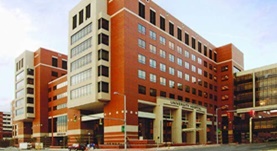 He also did a fellowship at the University of Alabama Medical Center. He is a board certified pathologist and is currently available for consultation at the University of Alabama Hospital. Dr. Isam has also contributed to three research papers. Dr. Isam Eltoum has contributed to 3 publications. Atypical cytologic diagnostic category in EUS-FNA of the pancreas: Follow-up, outcomes, and predictive models. Alston, E.,Bae, S.,Eltoum, I. A.; Cancer Cytopathol. 2014 Jan 18. Diagnostic error assessment and associated harm of endoscopic ultrasound-guided fine-needle aspiration of neuroendocrine neoplasms of the pancreas. Hooper, K.,Mukhtar, F.,Li, S.,Eltoum, I. A.; Cancer Cytopathol. 2013 Jul 9.